This is the third of 12 films that I was “forced” to watch by my fellow bloggers who participated in my Blogiversary Contest last month. This movie was chosen by Kira. Tnx for the suggestion. Let’s see what I thought of it…. Brief Synopsis – An unhappy puppeteer gets a job in a strange office and finds a secret door leading to a most unexpected place… the mind of a famous actor. My Take on it – I have never been the biggest fan of Charlie Kaufman’s take on storytelling and that is perhaps the main reason that it took me over 16 years to finally attempt to watch this again. When I saw it the first time, I was quite turned off by the way the story was being told and just couldn’t connect in any way with the story or the characters. So, it was with mild trepidation, that I ventured to rewatch this when Cindy suggested that I watch it since it is one of her favorite films. I went in with an open mind, but once again, had a lot of trouble connecting with the characters and the storyline here. 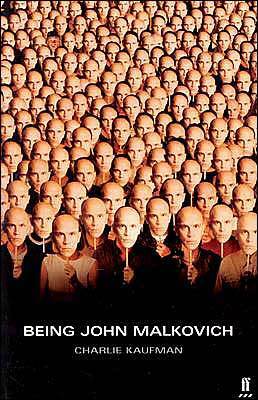 I think John Malkovich himself is best in roles where he plays an eccentric, devious or psychopathic character and isn’t as good in straight drama. Here, he plays a version of himself, but it just didn’t feel as real as it should. The story itself dragged on a bit too much and in some places was outright boring for me to take it all in. Th main thing I did enjoy was Kaufman’s attempt to try and make the art of puppeteering more tangible for the audience, but despite a good effort, his attempt at something greater just doesn’t work for me at all. I thought it was quite funny watching the cameo from Charlie Sheen here… especially knowing what has become of his life on and off the screen since this came out. I guess that ultimately, this joins the long list of Kaufman films that I’ll never quite understand properly. Bottom Line – Liked the way that the story tries to make puppeteering more tangible to the audience, but overall, I found the storyline to be quite boring and annoying. I have liked Malkovich when he plays a very eccentric and devious character moreso than when he plays in a straight drama and his performance just didn’t work for me here. Characters are quite unlikable. Funny that Charlie Sheen has a cameo here. Overall a good attempt at something bigger that just didn’t speak to me well enough. Cameron Diaz was the one of the most bizarre parts of the film, for me!